Stefanel SpA is an Italian clothing designer, manufacturer, and retailer, producing fashions for the men's and women's segments under its own Stefanel and Stef in Time brands, as well as clothing under license for French design duo Marithé and François Girbaud, including their jeans collection and the SPQRCITY sportswear collection. The company's Interfashion subsidiary produces its licensed clothing. Stefanel's sales come primarily through its international retail network of both company-owned and franchised stores, operating under the Stefanel name and, in Germany, under subsidiary Hallhuber's name. Altogether there are some 750 stores under the Stefanel umbrella, including outlets throughout Europe, and in North America, the Middle East, and Asia. Italy, however, remains the group's primary retail and clothing market, accounting for more than half of its stores. Hard-pressed by strong competition at the dawn of the 21st century, including from Italian rivals Benetton and Diesel, Stefanel has diversified its operations. In 2002, the company acquired a 50 percent stake (together with partner and Italian hard-discounter PAM) in the Nuance Group, the world's leading operator of retail duty-free stores with nearly 400 outlets worldwide. Nuance now accounts for more than 70 percent of Stefanel's revenues, which neared EUR 650 million ($800 million) in 2003. Stefanel, listed on the Borsa Italiana since the mid-1980s, remains controlled by the Stefanel family, under the leadership of Guiseppe Stefanel, son of the company's founder. In October 2003, Guiseppe Stefanel raised his shareholding position in the company to more than 57.5 percent; the company's other major shareholder is Delta Erre, with 27.5 percent. The Treviso region near Venice became the home of one of Italy's--and the world's--most important fashion and design centers, providing the birthplace for such internationally known brand names as Benetton and Diesel. Yet Stefanel was one of the first of the design houses to come from the region. Carlo Stefanel was born in the village of Ponte di Piave in 1925 and began working at his aunt's spinning mill, in Oderzo, at a young age. Following World War II, Stefanel became determined to go into business for himself. As he recalled in 1986: "I had lots of ideas and I was able to start out on my own thanks to the faith and financial support of a friend whom I will never thank enough." Stefanel started out producing his own wool blend, which he sold at stalls in a number of local marketplaces. At first, Stefanel transported his goods by bicycle. Before long, his growing business enabled him to buy a small car, which he converted into a truck. Stefanel continued to build his wool business through the 1950s. Yet Stefanel was eager to move on to the next phase, that of the production of textiles and clothing designs. At last, in 1959, he had the opportunity to buy four knitting machines, which he installed in his home in Oderzo. Stefanel founded his own company, Maglificio Piave, and began producing knitwear for the wholesale market. The company grew strongly through the 1960s, yet remained exclusively a supplier to wholesalers. The late 1960s and especially the 1970s marked a new period of designer and brand name consciousness, giving rise to a new breed of textile groups in Italy. By then, Stefanel had been joined by son Guiseppe, born in 1952. At the end of the 1960s, Guiseppe Stefanel had begun working for the company, taking responsibility for its production of yarn and textiles. 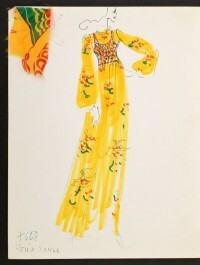 During the 1970s, however, the younger Stefanel recognized the potential for launching the company's own clothing designs--under its own brand name. The company began producing a range of knitwear in the mid-1970s, selling its clothing collections directly to other retailers. The Stefanel-branded line quickly captured the interest of Italian consumers, and before the end of the decade the company began to enjoy national recognition and success. Guiseppe Stefanel took over as company managing director in 1979 in order to lead it into the next phase in its development. In that year, the company began developing its own retail concept, originally along a franchise model. The initial success of the retail concept encouraged the company to begin opening a number of stores under its direct control, starting with a shop in Siena in 1980. Adopting a new corporate name, Stefanel, the company began a period of rapid expansion. By 1982, the company made the bold decision to expand beyond Italy, opening its first international store in Paris that year. Stefanel posted impressive growth into the middle of the decade, inspired in part by its decision in 1983 to begin selling clothing exclusively through its own rapidly growing retail network. By the middle of the 1980s, that network had grown to nearly 800 company-owned and franchised stores throughout the world. Fueling the company's growth was its public offering in 1986. In that year, the company's sales topped the equivalent of $128 million. Just two years later, Stefanel's revenues had already passed the $200 million mark. Italy remained the company's primary market, backed by a network of more than 550 stores by the end of the decade. With little room for further growth at home, however, the company stepped up expansion of its international network. Guiseppe Stefanel became company chairman and CEO following his father's death in 1987. By then, the company had begun eyeing a new and potentially huge market--North America, especially the United States. The company opened its first franchised stores in New York and Bermuda that year, and announced its intention to add another 40 to 60 stores--with ultimate plans to boost its North American presence to as many as 200 stores by the 1990s. Yet success in the United States proved elusive for the company. By 1989, it had succeeded in opening only 18 stores in the United States, with a further eight operating in Canada. Stefanel had been unable to position itself as a true brand name in the United States, and was forced to reduce its objectives in the U.S. market, lowering its sights to just 100 stores. Even this goal proved optimistic--by 1992, the company's presence in the United States had shrunk back to just four stores. Despite its difficulties in North America, Stefanel's growth remained impressive into the start of the 1990s. By the beginning of that decade, Stefanel boasted more than 1,100 franchise boutiques in its retail network, producing sales of nearly $400 million. Among the company's successes was winning the right to form a joint venture with the city of Leningrad (later renamed Saint Petersburg) to open two stores, and operate two factories, supplied by textiles from Stefanel's home base, starting from 1988. In 1989, the company moved into Japan, forming a joint venture with Onward Kashiyama. That business grew rapidly, topping 100 stores in the early 1990s, including 40 stores in Japan, and stores in South Korea, Taiwan, and China. Stefanel, which had concentrated its efforts on its core mid-range knitwear line, now began seeking to extend the range of its retail offering. In 1989 the company expanded its manufacturing base through the acquisition of Compagnia Finanziaria Moda, which produced clothing under license, including the clothing manufacturing license for the Converse All-Star brand. With its expanded production capacity, Stefanel began looking for new licensing partners. In 1990 it entered two licensing partnerships. The first was with Italian designer Romeo Gigli, with an agreement to launch and distribute the new mid-priced G Gigli collection, inspired by the designer's ready-to-wear clothing. The two companies strengthened their relationship in 1992, forming a joint venture company to take over design and production of the G Gigli line. In the meantime, Stefanel was enjoying success through another design partnership, formed with France's Marithé and François Girbaud, designers of a successful jeans line, as well as their own ready-to-wear collection. The licensing deal gave Stefanel the European retailing rights to Girbaud jeans and other clothing. Stefanel's licensing deals came as part of an overall effort to drive its retail offering into a higher-priced category--a strategy that came as much in reaction to the huge success then being enjoyed by Italian rivals Benetton and Diesel, among others. Yet Stefanel was outpaced by these groups, which had captured international attention through bold advertising campaigns. By 1995, with an international network approaching 1,500 stores, Stefanel appeared to have run out of steam. In that year, the company slipped into the red. Losses continued into 1996, despite the company's effort to cut costs and refocus its retail network. As part of that process, the company slashed the number of shops, dropping some 500 stores. Many of these were smaller stores, closed in favor of a new and far larger "superstore" concept. The company also attempted to broaden its consumer base by introducing a new Stefanel Kids collection. Stefanel also turned to a new partner to restore its momentum. In 1995, the company reached an agreement with American designer Calvin Klein, then making an attempt to enter the European market. The two companies agreed to form a joint venture, SKY Co., held at 73 percent by Stefanel, to open as many as 150 CK stores in Europe by the end of the decade. Yet CK failed to inspire European shoppers. 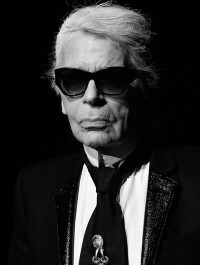 By the end of the decade, the costs of developing the CK network had begun to weigh heavily on Stefanel, which once again slipped into losses. As a result, the company abandoned the CK partnership. At the same time, it ended its struggling Stefanel Kids line. Stefanel was once again faced with finding new growth avenues. The company now began targeting acquisitions of existing businesses as a means forward. In 2000, the company turned to Germany, paying $17.5 million to acquire that country's Hallhuber group. Hallhuber operated 44 stores throughout the country, selling its own brands, as well as clothing from Marithé and François Girbaud and Calvin Klein. The company expected to build up its presence in Germany, both through its own 23 Stefanel stores in that country, and through the expansion of the Hallhuber chain. Stefanel continued to seek other expansion possibilities. The next opportunity came in 2002, when the company was offered an option to acquire 50 percent of the Nuance Group, then being acquired by Italian hard-discounter PAM from Swissair. Nuance had been formed in 1992 through the combination of the duty-free business of Swissair and Crossair. By the beginning of the 2000s, after a number of acquisitions, Nuance had emerged as the worldwide leader in the retail duty-free market, with nearly 400 shops. The addition of its Nuance stake transformed Stefanel's balance sheet, tripling its revenues. Nuance also gave Stefanel a new outlet for its own clothing fashions. Leading the company's new charge was Guiseppe Stefanel, who, after delegating direction in the 1990s, decided once again to oversee the company's day-to-day operations in order to restore its former glory. As part of that effort, Stefanel increased his own direct ownership in the company, stepping up his shareholding to more than 57.5 percent in October 2003. Stefanel hoped to become once again one of Italy's fastest-growing design and retail groups in the 2000s.